I’m not in any position to get a new car (yet). 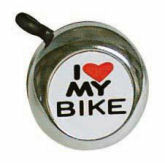 But someday, hopefully later this year, I hope to get one. We are down to one vehicle right now, and that serves part-time as a postal vehicle when my husband is called to deliver mail. Needless to say, my van is now pretty beat up. If I have to go anywhere and he’s on the route, I have to either cancel my appointments or get a rental car. Not fun. I’ve had to get rental cars twice so far for appointments I could not cancel… the only bright side is that I get to check out vehicles I might be interested in getting someday. So far, I’ve tried out the Chevy HHR and the Subaru Outback. I disliked the Chevy HHR very much. It rode nice enough, but I felt like I was in a tuna can, riding really low. Have you ever seen American Graffiti? 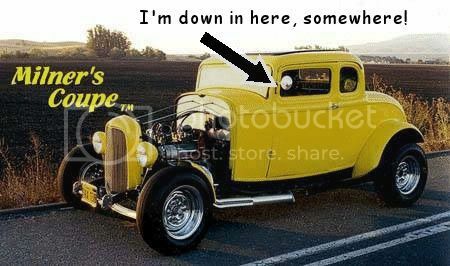 You know the part where John Milner is driving his yellow ’32 Ford deuce coup, and the cop stops him to ask him if his windshield is legal height? And Milner says it’s tiny, but it’s regulation… That’s how I felt about the HHR. The windows were so tiny that I could barely see. 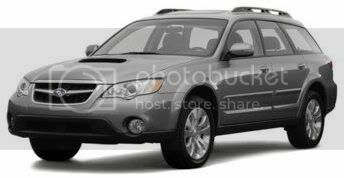 Well, the reason I’m mentioning the Outback is because I thought I might consider buying the car someday. But after trying it out… I don’t think I really like it. I drove the kids up to Tupper Lake recently– really rugged country in the Adirondacks. And the roads were bad with snow and sleet. I was surprised that the Outback performed so poorly. My minivan with its snow tires does better than the Outback. The Outback has this freaky slippery-car-auto-control function that must have kicked in from time to time. I did not like the car taking over when the roads were slippery. It just seemed like we slid more than we should have, driving the car. It was scary a couple of times! I like the all wheel drive aspect. I thought that would make the Subaru a better choice than, say, our minivan. I don’t know if the Outback had snow tires. My minivan has terrific snow tires (remember, it’s a part-time postal vehicle, so it’s rigged up good! ), but the van only has front-wheel drive. I expected the Outback to perform better on the slick roads, but it didn’t. I was out driving my minivan today, after the Snowmaggedon we had yesterday, and it handled the slushy roads like a PRO. The Outback windshield also iced up a LOT. I had to pull over and scrape it off twice on the way to our destination. I panicked one time, because the ice was literally forming as we drove (downhill in snow!) and I couldn’t see. I finally figured out that to prevent the windshield from icing, I had to crank the heat. And with four teens in the car, it was HOT in the car. So that was a real stinker. Also, the Outback is small. I suppose it would comfortably seat four, and we had five in there, but the kids were uncomfortable in the back because it was cramped. I guess we are spoiled from the spaciousness of the minivan! They disliked the car a lot. And too many buttons! I couldn’t figure out half of them. I never did find out how to adjust the side mirrors. I tried everything in the blasted dashboard, no go. By now you may be wondering why I am complaining so much! LOL. Well, I’m just giving my opinions about the Outback as a family car, as a recreational car. I’ll get to the positive stuff in a second! Anyway, the Outback doesn’t seem to be such a car well suited for really rugged roads and weather at all. It seems more suited for a Yuppie in suburbia who wants to LOOK rugged. I was disappointed. I was hoping we’d found the car to work toward, and it turned out to be a stinker. I think I’m going to try a jeep next. I REALLY want a smaller -sized car, but I wonder if that’s right for us. I have four teens, we drive in rough country a lot, and it’s winter up here six months out of the year! I don’t need a sunroof, I don’t need a GPS or a DVD player or even anti-lock brakes! I am used to being in control of the car, and not the car being in control of me. I want a simple, reliable, rugged car that will get us up the mountains in snow and still be small enough to get around town and the city.